Are we headed for a bank holiday? Let’s say one early morning in June, probably a Saturday, you go to buy bagels and the paper and your ATM card doesn’t work. So you pay cash. You get to the car and see the headline in the paper. PREZ DECLARES BANK HOLIDAY. Unbelievable, can’t happen here. We survived 2008-2009 without one. I believe it will happen something like this. The Treasury and the Federal Reserve will be in secret talks the week prior to the holiday. The problem will be global as large money center banks in Asia (HSBC) and Europe (Deutsche and French banks) begin to quake due to junk loans defaulting and derivatives tied to these loans. As the tsunami hits our shores the Wall Street bank CEOs begin talks with the feds at downtown headquarters of the NY Fed. The banks say they conservatively need $8 trillion to remain open. A far cry from the $800+ billion ex-Treasury chief Hank Paulson wrote in three-page memo in 2008 on a Friday by the way. The chairs of the House and Senate Finance and Banking committees are brought in. It’s a non-starter — $8 trillion — they will have our necks one of the House members says to Treasury Chief Jack Lew. By Thursday afternoon word is getting around the trading desks that something is going on. Bank stocks and other financials are hit hard. Many close the session down more than 10% for the day, after tripping circuit breakers twice in the last 3 hours of trading. By Friday morning’s pre-market opening both Asian and European markets have sold off hard with major indices down 20%. It’s a crash. US markets try to get an orderly open, and do so with many bank stocks halted after exceeding the downside. The markets are able to get to 2pm, when regulators close due to “technical problems.” At 5pm the President makes his announcement that ATMs and credit cards will not work until we can can get a handle on the crisis. And yet many people in the US are not in on the move. Despite the President coming on TV Friday night declaring the bank holiday, they are clueless. Phrases like “This is Lehman Bros. on steroids” and “$8 trillion or die” become buzz words on business TV networks over the weekend, with visuals of a line of black town cars lining Liberty Street outside the NY Federal Reserve Bank. The President is on TV 4 times that weekend ensuring the American people that the Administration is doing everything they can to get past this crisis. To no avail, rioting and looting break out across the country. And so begins the 2016 Depression. Tomorrow I’ll paint what the next week looks like. 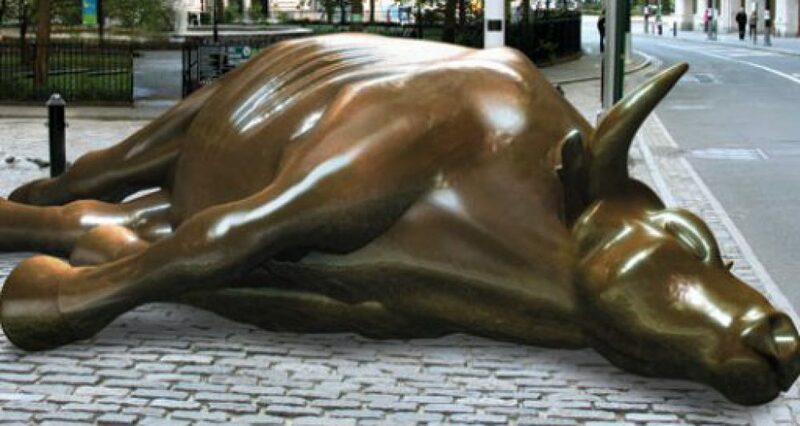 This entry was posted in economy, Federal Reserve, Janet Yellen, monetary, recession, Uncategorized, Wall Street and tagged $8 trillion bailout, 2016 Depression, Bank holiday, jack Lew, stocks crater, This is Lehman Bros. on steroids by Michael Gray. Bookmark the permalink.